Ticks are a nuisance and can be dangerous as well, since they carry numerous diseases such as Lyme Disease. The bugs are drawn to dark and moist places so there are steps that we can take to control them. 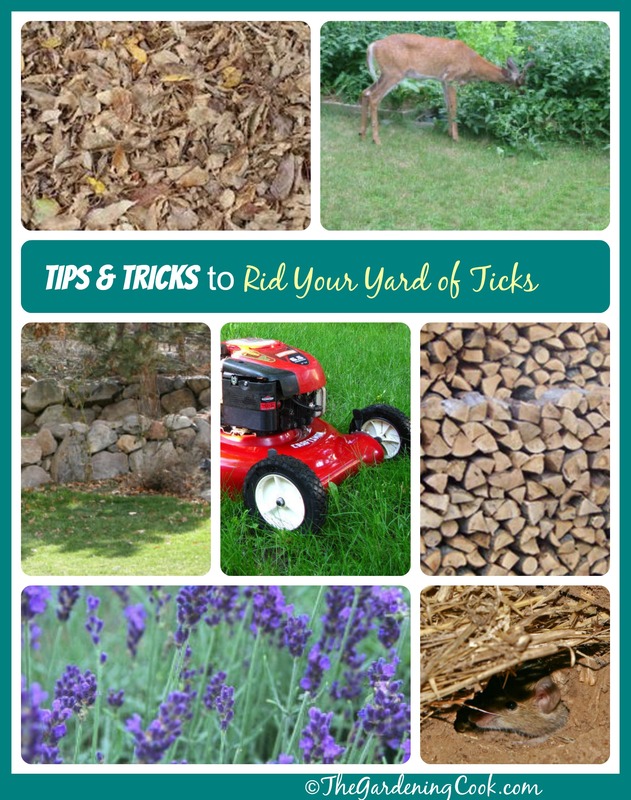 These tips show how to get rid of ticks in the yard as well as a few natural treatment options. If you want to have a tick free yard, you’ll need to follow a few simple steps in limiting the places where they might live. 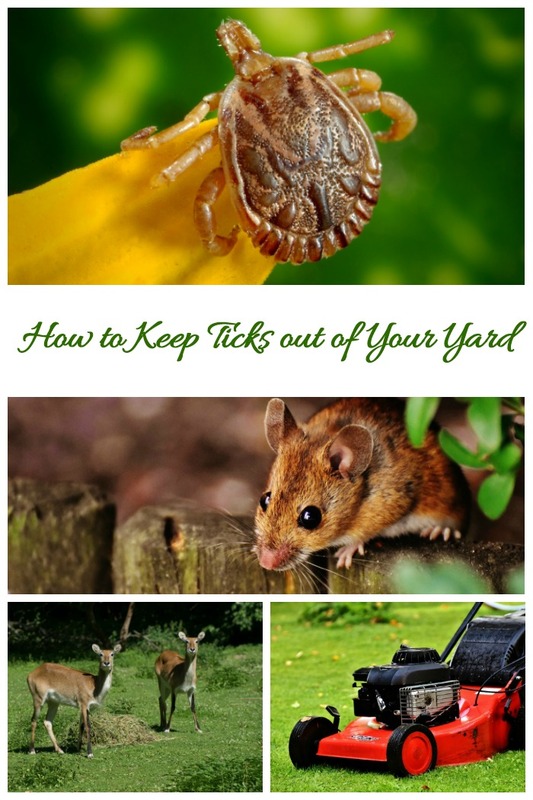 Here are some tips and tricks to help with controlling ticks in the yard. Ticks are drawn to certain areas of a garden. You can help by limiting the areas where they might find a home. They especially like darkness and moisture, so messy firewood piles can be a home to them if you are not careful. If you leave the wood loose in an shady area where it will get rained on, it will become a tick magnet. 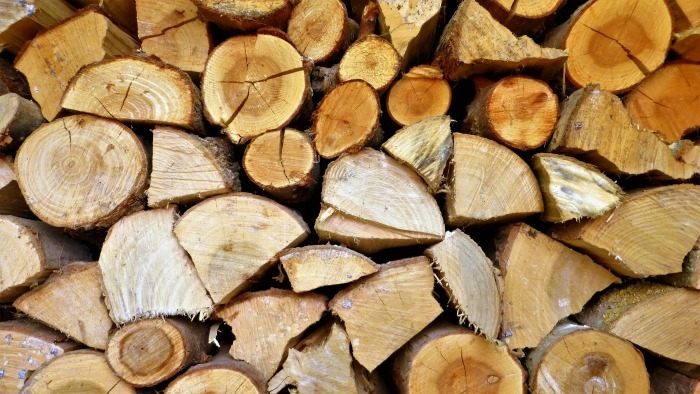 Instead, keep your firewood neatly stacked in a dry location away from the rain if you can. A nice bonus is that the wood will also be dry when it is time to use it next winter. Ticks love shade. Damp and dark piles of brush and dead leaves are like tick heaven. 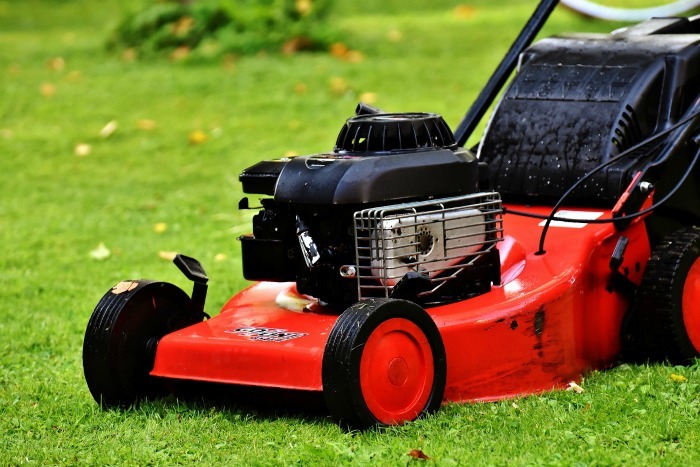 Don’t let vegetation build up in your yard. If you decide to compost garden refuse, use an enclosed tumbler, or keep the compost pile keep it away from play and pet areas and be sure to turn it often to keep it hot. 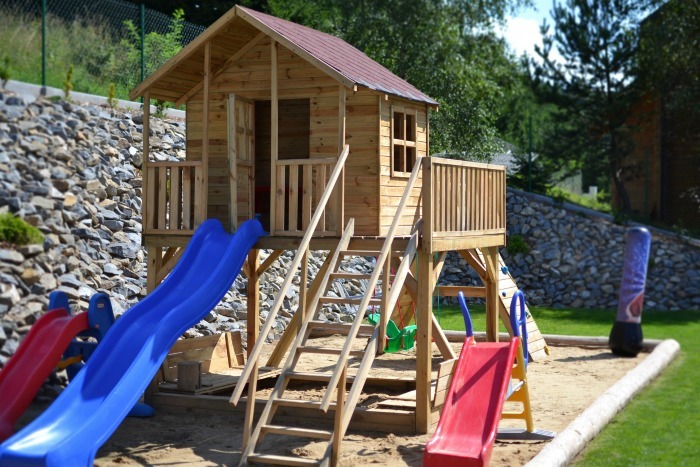 Locate swing sets, playhouses and other play areas in your yard away from the most densely wooded areas. If possible position them in sunny areas. This will give children and pets more protection and keep ticks out of the play areas. Use rocks or long cedar timbers as dividers from wooded areas. This will help to keep ticks away from areas most often used. Mow your grass regularly so it won’t be a haven for ticks. If possible use a catcher on the mower that removes the grass clippings so they won’t attract ticks. Remove garden refuse away from the most often used area of the yard. Trim trees of dead branches and remove piles of old leaves. Any untended areas of a yard can attract ticks. Barriers such as a foot of bark chip or rocks around the common areas in the yard will make it harder for ticks to enter from the woody areas nearby. Try not to have standing water near wooded areas. These will attract ticks. Remember to keep bird baths clean and free of refuse. All gardeners love the look of a garden bed that is lush and beautiful because it has been watered well. But remember that ticks prefer moist environments. If you have a tendency to over-water, and have poorly draining lawns this can act as an invitation to these insects. 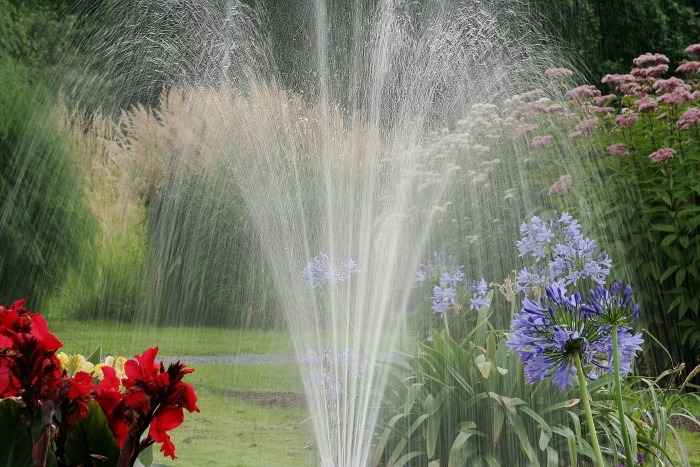 Water as much as your plants need, but be on the look out for areas that don’t drain well and take steps to aerate them. Ticks travel on deer, so choose plants wisely and stay away from those that are likely to attract them. 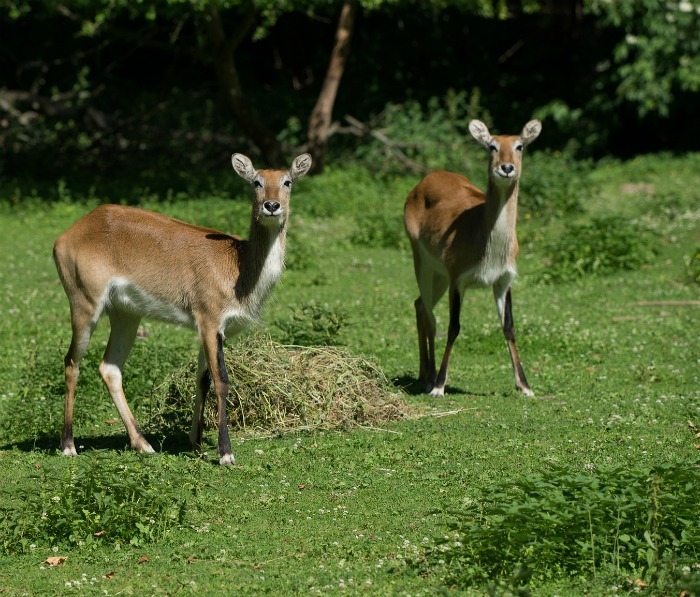 Also install fences to keep deer out if you have a big tick problem in your yard. If you would like to try and control ticks without using chemicals, try planting Chrysanthemum cinerariae folium. This plant has a high level of natural pyrethrins and helps to dispel ticks naturally. 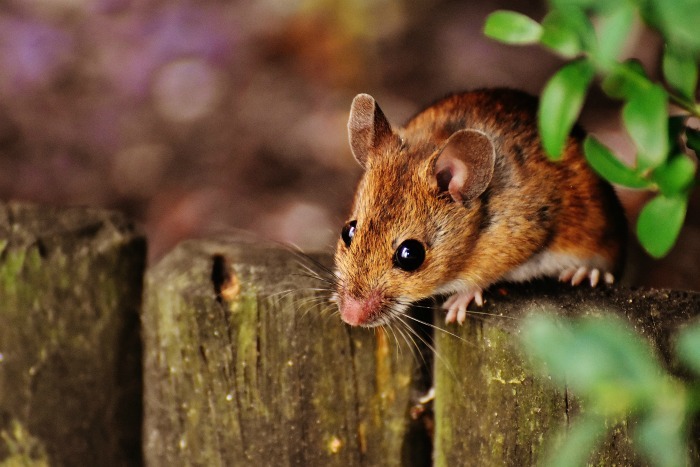 If you see a lot of mice in your yard, be sure to find a way to control them. Mice are carriers of ticks. Where there are mice, there will be lots of ticks too! Garbage cans attract host animals like rodents so be sure to store it away from areas of your year that you want to keep tick free. The first step in repelling ticks is simply to make sure your yard is nice and clean. The Gardening Cook is a participant in the Amazon Affiliate Program. This post may contain affiliate links. I earn a small commission, at no extra cost to you if you purchase through an affiliate link. Make your own Tick Tubes. These are biodegradable, cardboard tubes filled with permethrin-treated cotton balls. Mice will collect the cotton to build their nests; when the deer ticks that feed on the mice are exposed to the permeation, they die. Ticks avoid all types of citrus plants, which makes citrus an effective weapon. 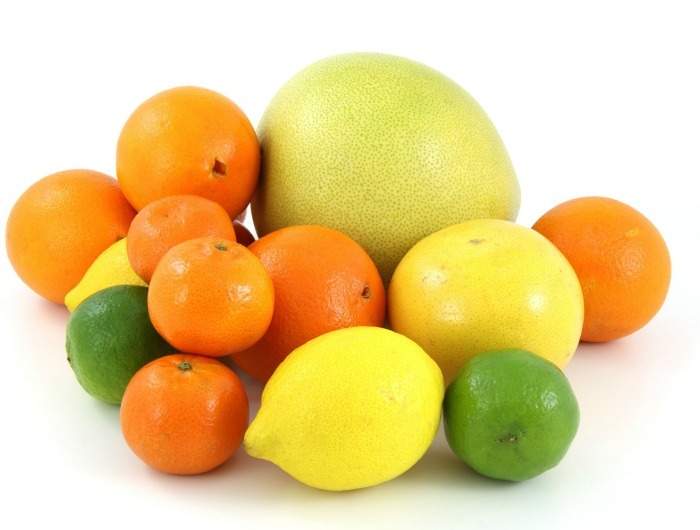 To make a citrus based repellent: Boil 2 cups of water, and add two chopped lemons, limes, oranges, or grapefruit. Let it boil for a minute or so, then simmer for an hour. Strain the fruit out, let it cool, pour into the sprayer, and squirt it on you, your kids, your pets, your yard and anywhere ticks might be found in your yard. The main thing to keep in mind is that a clean yard, free of refuse and well tended is far less likely to have ticks become a big problem. Admin Note: This post first appeared on the blog in July of 2014. I have updated the article to add new information and photos. Chickens and guinea hens are also a good pesticide free method of getting rid of ticks. Not exactly useful in the cities but can be very useful in the country. and once we got the birds we only found one and that was because I came home from the neighbors and found it on my leg. This is good advice. But bombing your yard or fence with permethrin will kill any bee or frog that touches it. Permethrin is highly toxic to both, and has been linked to the massive honey bee die offs around the country (colony collapse disorder). Since frogs and bees are both important parts of the ecosystem, it doesn’t make sense to wipe them all out in an effort to control ticks. 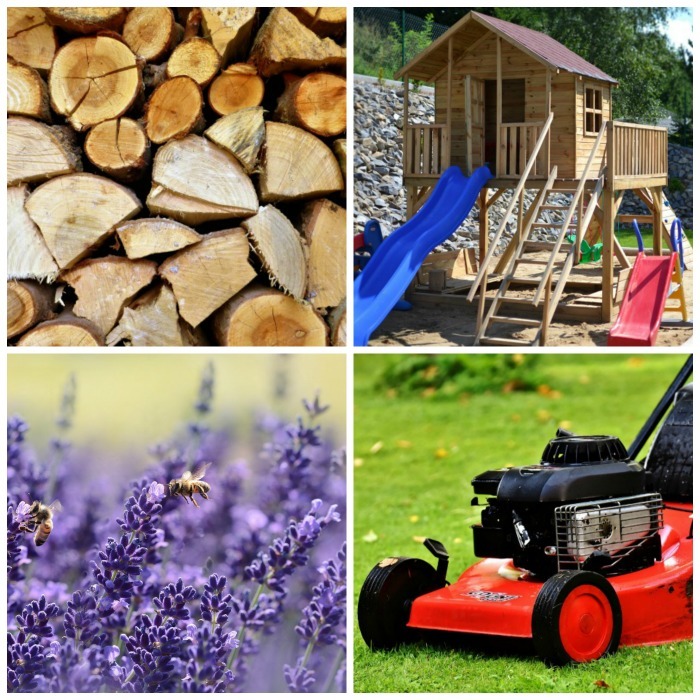 Select use of permethrin can be very effective, without risking exposure to bees and frogs. I use these 25lb boxes of Diatomaceous Earth[crushed coral reef.] like for swimming pool filters. This version does have silica which if breathed will cut your lungs . The food grade is too expensive for my method. I put on a breather mask and scatter it about my yard. No ticks or other creepy crawlies all summer. Doesn’t harm bees or pets. You eat the food grade stuff in your grains you just didn’t know it until now. It’s got a lot of great properties . Check it out. Where can you buy this stuff. I have never heard of it. We are having a horrible problem with ticks this year. Animal feed stores sell it cheaper. In Los Angeles, we buy a 50 lb bag for $26. The stuff is food-grade and totally safe. It works on fleas, too. Read up more on this as you should only be using food grade. It is more effective due to the higher sulfur content…did some reading and it was recommended NOT to use the DE for pools. Great tips. 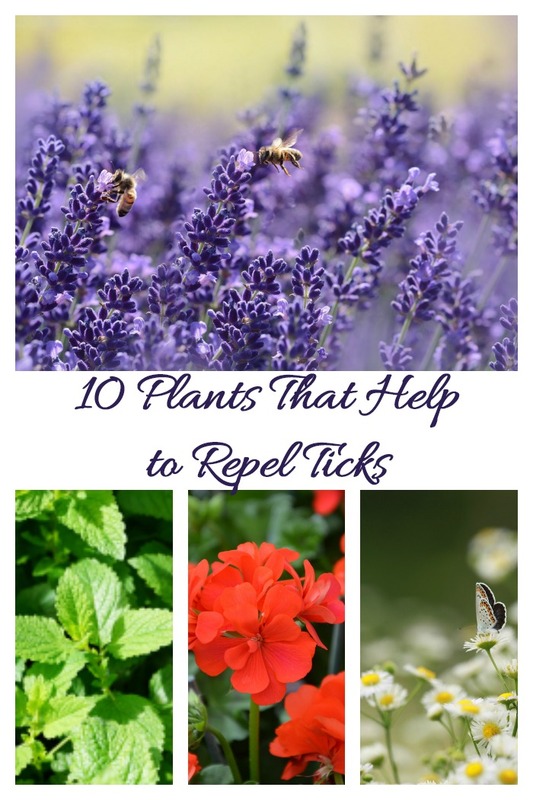 I hate ticks and will try some of these to see if they work. I have lavender plants growing in my backyard. Is it possible to use them somehow for repelling ticks? Across the same yard I was sitting in the grass and these little tick like bugs were drinking off me. Left huge smears of blood when I squished them. If I use the diatomaceous earth in my back yard, will it harm my pets? Do I need to keep my pets off the area for any amount if time after applying it to the ground? Hi Tammy Thanks for the email. My understanding is that it is perfectly safe. Some people even use it on dogs and cats to help control fleas and ticks. (If you do this, I would use food grade diatomaceous earth.) If you google diatomaceous earth and pets, you will find lots of articles about it being safe. Diatomaceous Earth is only safe for your pets if you use food grade. DO NOT USE POOL GRADE NEAR PETS OR CHILDREN!! And no they are not destroying coral reefs to make this, it is a naturally occurring earth comprised of fossilized diatoms. yes it’s safe! use only food-grade diatomaceous, i get mine from amazon. I use it on my pom’s, on my 3 cats, on my chicken around in the chicken house i use it in the house to keep those nasty little ants out so far I have not seen 1 flea in my house, with the dogs i have to reply ever so often on the legs! Thanks for your recipe for the citrus based repellent. Do you mean to have 2 cups of chopped lemons, limes, orange and or grapefruit for the recipe? or can you just use either just lemons etc. how often do you have to put the -diatomaceous earth on your yard – for ticks ????????????????? I have 2 dogs and 2 cats, ticks are always a problem for us. I try to keep the property tick free using natural methods. I have recently found out about Beneficial nematodes. Have you tried that, does it work. Thank you for your tips. I used nematodes for the first time and I still have a tick problem. wow, that’s nice, i’m looking forward to reading more of your posts. great post thank you for sharing. I appreciate it when you said that ticks love areas that are dark and damp, so by limiting the parts in the yard that fits the description, we can reduce the possibility of getting ticks. Now I know what we have a lot of those pests in the backyard. The shed was torn down and left there a few months ago. The decaying wood and areas that accumulated water were what probably attracted them. I will call a professional to help me get rid of them, then I will get rid of the shed. Please take this very seriously if you have a yard infested with ticks. Lyme disease nearly killed my mother! Song Bird safety can be quite different from pet safety. And bird safety is frequently not thought of when discussing what to put all over the yard. Are any of these products safe for birds and frogs?